Download this post as an infographic. The largest opportunity to improve revenue generation today comes from aligning your marketing and sales organizations. Typically, companies spend 30-40 percent of their revenue on their sales and marketing departments, so working in a coordinated and transparent manner improves efficiency and maximizes the return on revenue. 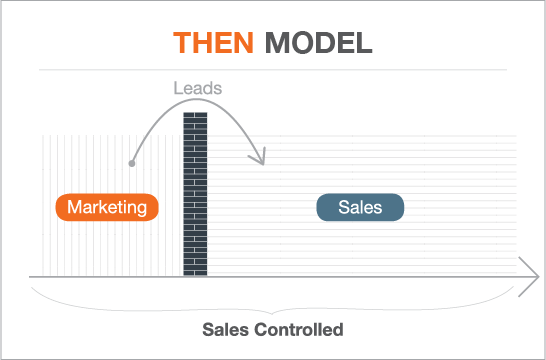 How marketing and sales worked together in the past doesn’t fit today’s customers and prospects. Marketing used to generate funnel activity, which they nurtured to leads for sales, and sales development reps qualified these leads and created opportunities that salespeople might turn into revenue. That is no longer a viable way to operate. The shift in buyers is huge and requires that everyone work together to meet revenue goals. According to Forrester, today’s business buyer controls the buying process more than today’s seller controls the selling process. 68 percent of B2B customers prefer to research independently online. 60 percent of buyers would rather not communicate with sales reps as their primary information source. 62 percent say they can now develop selection criteria or finalize a vendor list — based solely on digital content. 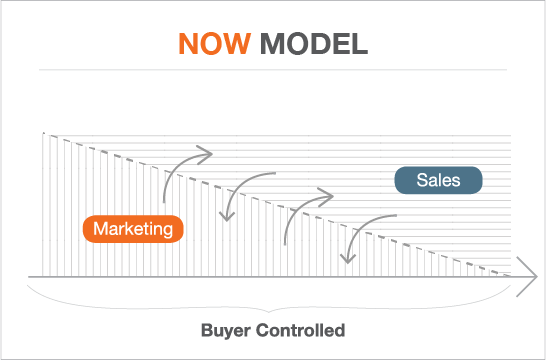 The B2B buying cycle is complex, and the sales process is certainly not linear. Multiple decision makers (the average is now 6.8, according to The Challenger Customer) are involved in the process and move at their own pace. This makes integrated efforts more important than ever. Marketing and sales need to work together with the same revenue-generating goals in mind. And it starts with a Service Level Agreement (SLA). Think marriage with a signed license after the ceremony. Only 26 percent of respondents to the 2018 State of Inbound Marketing report that they are tightly aligned and are operating with an SLA. And salespeople with SLAs call out marketing as the top generator of leads. You’ve got to speak the same language. Use the language that the CEO utilizes when reporting to the board: revenue. That translates into how big is your pipeline and how fast you will bring that revenue in. Breaking down these communication barriers paves the way for both teams to work together as one. Read more about what that looks like in this blog. Green Hat’s B2B Marketing Research BMR Report 2017 found crossed wires between sales and marketing continue to result in missed quotas, budget shortfalls, and organizational tensions. You need to agree upon and establish roles and processes. Tactically, this is defining things such as what is a good lead and when is it ready to be handed from marketing to sales, how quickly will sales follow up, at what point is the lead turned back to marketing if needed, and so on. Then, who is responsible for which part of the full funnel? Assumptions are dangerous. Clearly defining and determining strategy together gets both teams engaged and working toward common goals. In this scenario, everyone contributes to revenue generation, and there is no (or less) finger-pointing. Read more about turning your alignment into a demand generation engine. You must set concrete goals and determine the metrics to measure. This means having shared KPIs for revenue growth. Both sides need the same dashboards pulled from both marketing automation and sales automation tools. Accountability is then evaluated with the purpose of highlighting success and accelerating learnings, so efficiency and return on investment are always improved. These three steps aren’t all that are needed to align your sales and marketing teams, but starting the conversation and establishing an SLA are just a meeting away. By implementing these three steps, you will have made an important start in aligning your organizations. Establishing transparency and setting a communication cadence ensures that every customer and prospect touchpoint drives toward a revenue outcome. But, remember, an SLA isn’t a set it and forget type of agreement. Once you have established the basics of your SLA, you should conduct a comprehensive review of the targets, processes, and metrics that are included at least twice a year. This allows you to change and adjust as market conditions demand. 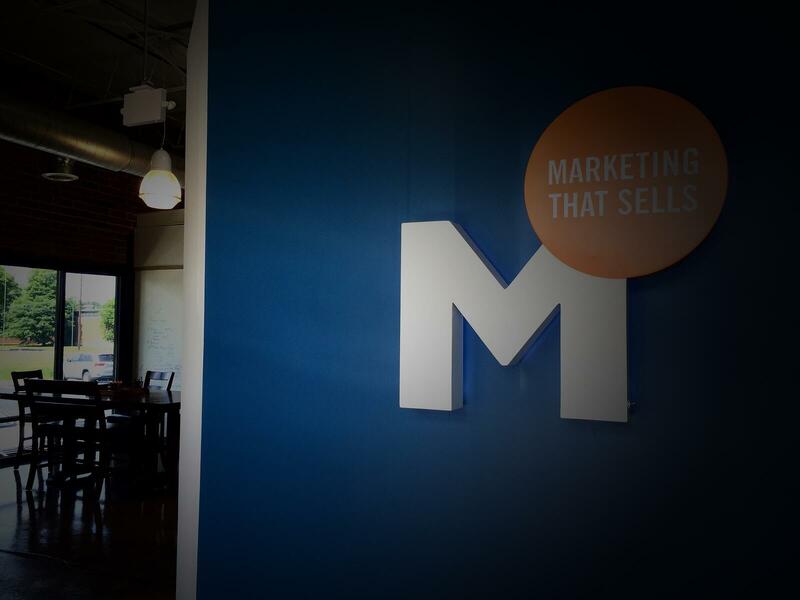 One of the tenets of Marsden Marketing is: there are no silver bullets. It takes hard work and smarts to drive revenue. A formal SLA is the best place to start. Enjoy this post? Download the infographic and share it with someone else who may be interested.